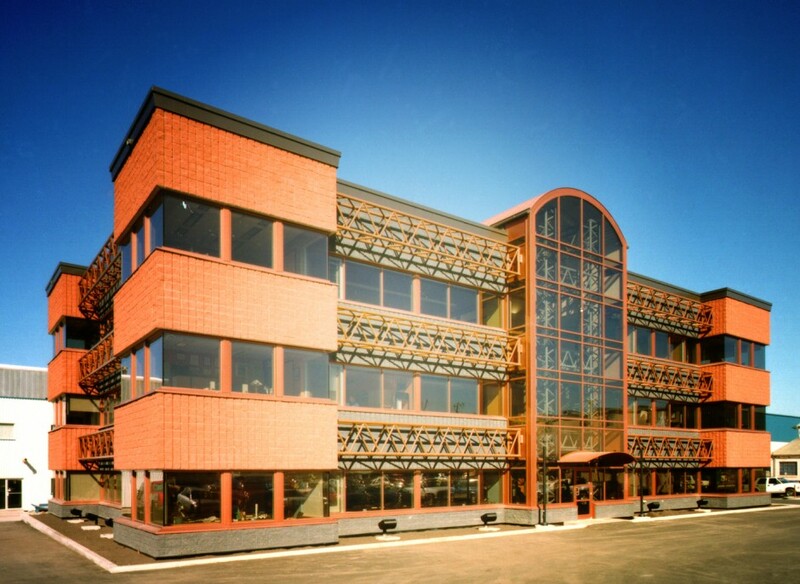 The design of Waiward Steel Fabricators new office building was specifically intended to showcase the beauty and strength of the steel used in their business. The three storey buildings primary use is an administration centre. A fitness room, located on the main floor, is provided as an employee wellness centre. Other main floor amenities include an atrium and reception area, and an employee lunch room/lounge. 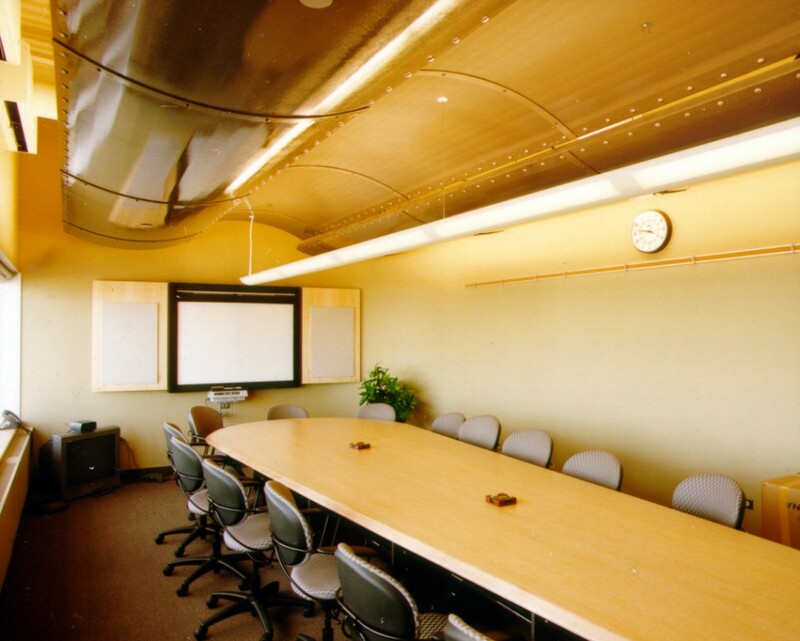 Conference facilities are also provided at this level. The second floor houses Waiward’s engineering and drafting department. A pedway, constructed as a steel box truss, connects the new office building to the fabrication plant. The third storey consists primarily of the management and payroll offices. 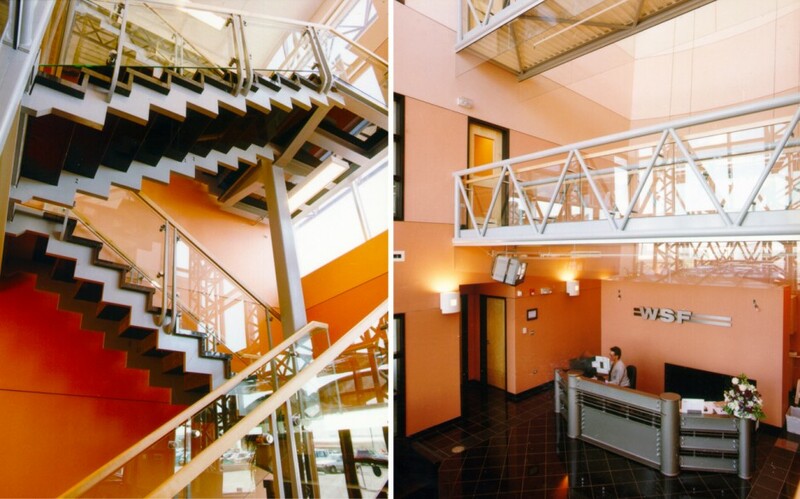 Conference and meeting rooms straddle and overlook the three storey atrium. 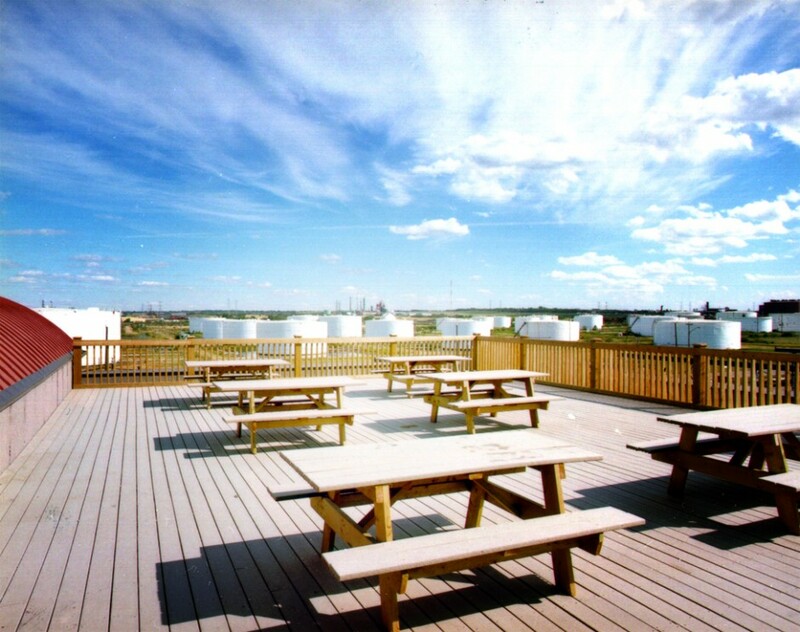 A south facing outdoor sundeck has been provided on the roof, for the staff use. The atrium showcases the creative use of steel on this project. Box truss columns and beams support the atrium roof system. 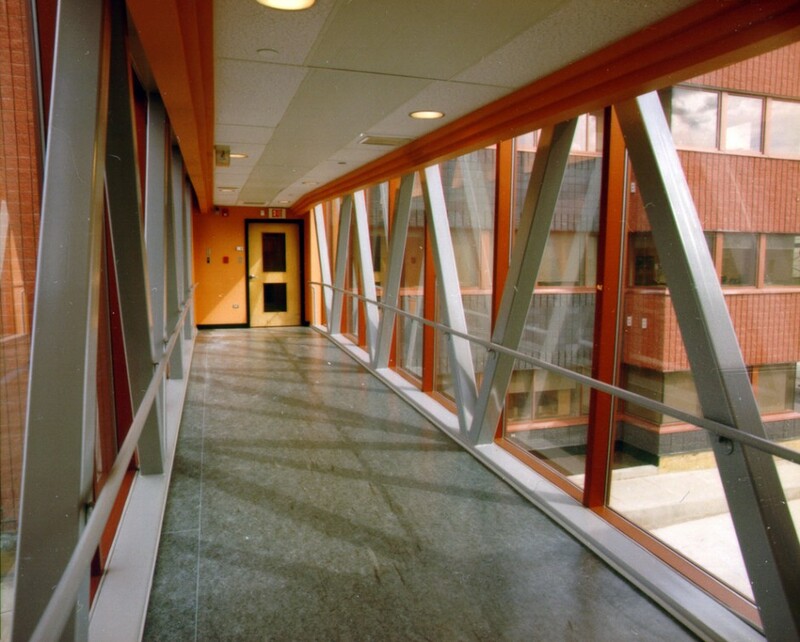 Main circulation stairs have been constructed of granite treads and risers on the plasma-cut steel plate stringers. Shaped steel balusters support glazed handrails and guardrails. The entire stair is supported by a single HSS column.